Outsource all the work on the big day to the professionals. Feel the magic of Christmas with your loved ones, without a second of washing up. Panoramic views of Melbourne and the Yarra River make a stunning backdrop to Christmas lunch at Taxi Kitchen. Let their expert team wine and dine you with a five-course set menu. Knockout views 300 metre Melbourne will create a sensational scene for Christmas lunch. 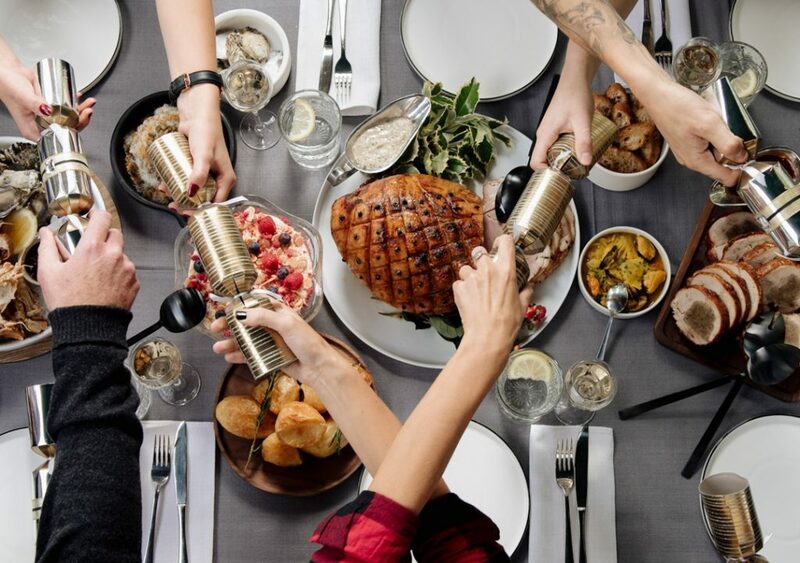 Celebrate with a four-course feast featuring confit duck rillettes, turkey breast galantine with pancetta, spelt and truffle jus, ‍pavlova exotique and Christmas cocktails on arrival. Spend Christmas floating on the Yarra River with a special three-course offering from Executive Chef Nick Bennett. Laze in the sun as the Arbory team serve up gorgeous seafood and traditional trimmings with a two-hour beverage package. Start with charcuterie before digging into lamb shoulder, snapper, black angus steak or risotto for lunch. With stunning river views and a $30 menu for kids under 12 years old, Ludlow is an excellent festive choice. Beverages on arrival, premium food selection and exquisite scenery. Leftbank’s Christmas Day Lunch has everything covered, from a raw seafood station to the decadent gelati bar. Six courses and a three hour beverage package are enough to sway anyone away from hosting lunch at home. The elegant surrounds of Hotel Lindrum are an added bonus to make Christmas day a beautiful experience. Celebrate the big day with a modern twist. Using locally-sourced produce from Victoria, Saxe have devised a delectable five-course Christmas lunch. Featuring butter-poached marron, coral angel-hair pasta, potato and fennel crumble matched with new-world wines. 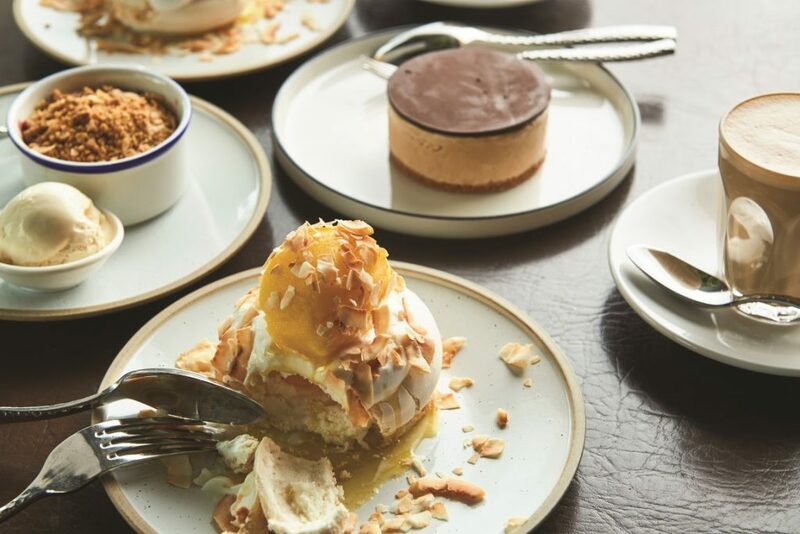 In their glorious spot opposite the Royal Botanic Gardens, The Botanical is putting on an indulgent three-course lunch on Christmas Day. With two sittings in the main dining room, and plenty of seasonal produce, enjoy time with loved ones and raise a glass to the holidays. A stone’s throw from the Royal Botanic Gardens, The Royce is a chic spot for your Christmas day do. Go European-style with a Christmas Eve dinner, or take your pick of two Christmas day luncheons – a deluxe buffet in the ballroom or an a la carte lunch in the restaurant. 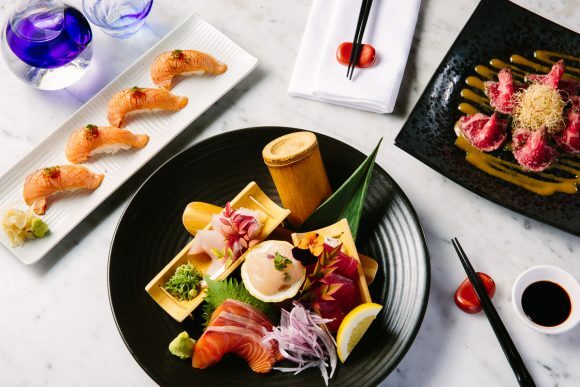 Nobu’s famous fusion cuisine blends together the flavours of Japan and Peru this Christmas. Seven courses, a flute of Moët & Chandon Brut and the sparkling Crown atmosphere make for a decadent Christmas day option. It’s a classic affair at the Stamford this year, with seafood, traditional roasts, decadent desserts and a brandy laden Christmas pudding. Renowned for using the very best of local produce, Locanda will be catering for classic roast lovers and offering mouth-watering seafood and Italian-inspired salads. With Christmas carols and a little gift for every child, lunch at home never seemed less appealing. Lane restaurant is putting on a festive feast with seafood, carvery station, decadent desserts and premium drink options. Coupled with live music, Santa visits and gifts for kids under 12, this is a celebration not to be missed. Charcuterie on arrival, fresh floral arrangements and a mouth-watering dessert buffet. The Vic is making Christmas Day a cinch. Make it a memorable Christmas Day in the ambience of Melbourne’s Sea Life Aquarium. 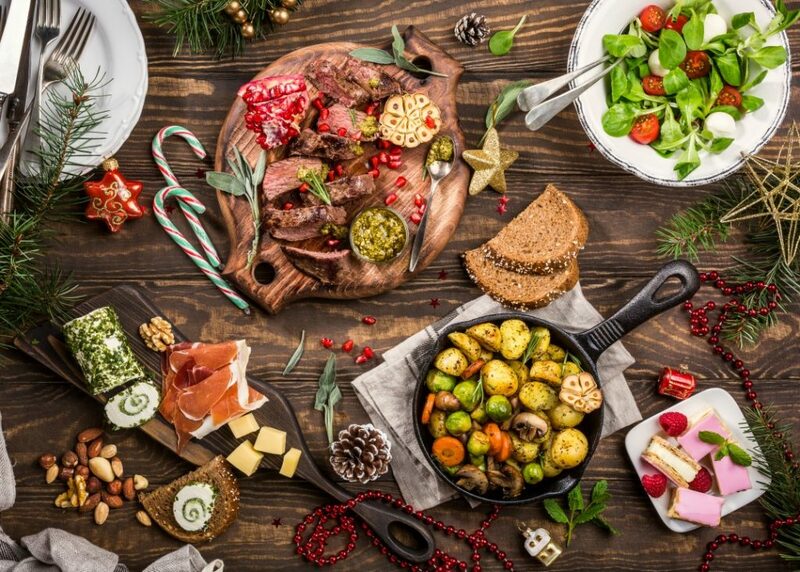 Combine the day out exploring with a trip to Yarra Bistro and indulge in a festive three-course lunch – the perfect Christmas Day for young and old. Indulge in a festive buffet with all the traditional trimmings, or take in the selection of Australian seafood at HQ’s. Choose from king prawns, freshly-shucked oysters, sashimi, ‍local scallops and whole crabs. Make merry at this Southbank favourite. There’s seafood selections, meaty options, and indulgent desserts to finish. A white and yellow cake on a plate, with a fork next to it. More desserts in the background. Tradition takes a modern twist at Louden this Christmas. Start with seafood like blueberry, gin and dill cured salmon then work your way up to the pudding, pavlova and petits four at the dessert counter. Festive cheer and traditional eats go hand in hand at PJ O’Brien’s this year. Take in three courses at one of their three seatings. Live music, candy canes and exclusive meal specials. Make Christmas a fun and festive affair at the Irish Times this year. Switch up your usual Christmas meal with sharing dishes like wagyu bresaola and prosciutto wrapped salmon, country-style ham and pan-seared king prawns. Finish with local and imported artisan cheeses and chocolates. Five courses of Japanese indulgence awaits at Akachochin. Served in the customary Izakaya style, their fresh ingredients and seafood selections will satisfy any festive craving. Make a Thai-style escape on the 25th and enjoy a seven-course sharing menu full of vibrant dishes. There’s cocktails, mocktails and drinks for purchase all lunch-long – and they can cater for gluten free and vegan eaters. Bask in the joys of Christmas lunch at Meat Market. Dine alfresco or in the restaurant with a glass of French champagne on arrival. Then tuck into delicious, ethically sourced produce – including turkey, ham and seafood across a generous three-course lunch. Join the joie de vivre with a French style Christmas, courtesy of the team at Guillaume. Their six course set menu and accompanying flute of Moët & Chandon Brut is a meal not to be missed. Sneak in a Schnapps on arrival before feasting on Bavarian delicacies. Then relax with a belly full of festive food alongside a beautiful view down the Yarra River. Melbourne Social Club’s 13th Christmas Day picnic takes place in the gardens opposite the National Gallery of Victoria. BYO festive treats and picnic blankets and head for a shady spot in the great outdoors. All welcome.